The band consists of Mark Gardener (vocals and guitar), Andy Bell (vocals and guitar), Steve Queralt (bass) and Laurence (Loz) Colbert (drums). Gardener and Bell had met when they were at Cheney School in Oxford where they both appeared in musical theatre productions. It wasn’t until they both went to the Oxfordshire School of Art and Design that they met Colbert. Queralt, however, was a fellow student from Cheney School who was working at Our Price as a singles buyer when he was added to the band. He had previously been in a bizarre reggae/pop band with Bell called Big Spiderback. They settled on a name and quickly went about producing a demo tape, using Queralt’s bedroom and hallway to perform in. They played at their college for the first time as Ride. Queralt’s old manager from Our Price, Dave Newton, ran a music night in Oxford called “Local Support” and it was at this venue that Ride had their first proper gig, due to a cancellation. Newton would go on to manage the band. Rumour has it that Gary Crowley (Capital Radio DJ) had a copy of said demo tape and let Jim Reid from the Jesus and Mary Chain have a listen, who then passed it on to Creation Records boss Alan McGee who signed them up after seeing them support the Soup Dragons. Anyway, back to the love affair. The CD turned out to be a combination of their first two EPs (Ride and Play) released on Creation Records; merged together to form a mini-album called Smile. For some reason Smile was released in the US on Sire Records in 1990 and wasn’t available in the UK until 1992 unless you got it on import. What I got from my first listen was an almost instant addiction. There were beautiful harmonies with a baggy bass and a wall of sonic explosion that I had just not heard before. A fantastic and brilliant eruption! Not just the type that would get your parents shouting up the stairs to “turn that bloody noise down!”. It was beyond that. It was a proper heart thumping, blood flowing kind of pandemonium. Drive Blind is still one of my favourite Ride songs and turned out to be Creation Records’ first ever chart entry when it reached the dizzy heights of No.71. It used a chiming riff over the top of rolling distortion that was driven along by the bass and solid drum work. Mark Gardener’s off-key vocal works for me, I know many people were put off Ride by this, thinking he droned or sounded depressed but I think it merges with the raw guitar sound perfectly. It’s clear that behind their wall of noise, here are four talented indie pop kids, maybe not for the indie dancefloors but perfect for closing your eyes and drifting away somewhere beautiful for a bit. Next on the list is the Byrds-esque Like A Daydream which is a lovely dreamy pop song that does sound amazingly like a sonic version of Lady Friend by the aforementioned Californian band, although I think this is better. It turned out to be quite a regular early Creation Records thing with Teenage Fanclub also using a similar sound to excellent effect on their Bandwagonesque album in ’91. This song could have been Creation’s first top 40 hit but unfortunately for Ride it was beaten by Primal Scream with their classic Loaded a couple of weeks earlier. The only downside to the Smile mini-album is that if you didn’t buy the two EPs on vinyl then you missed out on some beautiful covers. 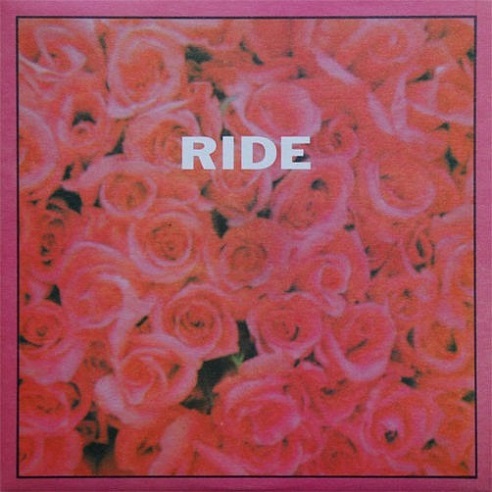 The Ride EP featured a picture full of roses with a vibrant pink filter over them and the Play EP was full of daffodils that had a bright yellow filter. Both were enclosed in a black border with Ride written centrally in bold. They really did stand out. By the autumn of that very busy first year of touring the EPs, they were ready to unleash their first studio album. Nowhere was a record that for me was the very pinnacle of the shoegaze genre. This is all about personal opinion by the way so don’t shoot the messenger. There were other bands, other albums, but this was my favourite when it came to shoegaze and only Gala by Lush came close. I know that people will throw Slowdive’s Souvlaki at me but I wasn’t a fan. Sometimes, an album just works when all four members of the band are drawn together by a certain chemistry and focus so they are heading in the same direction. 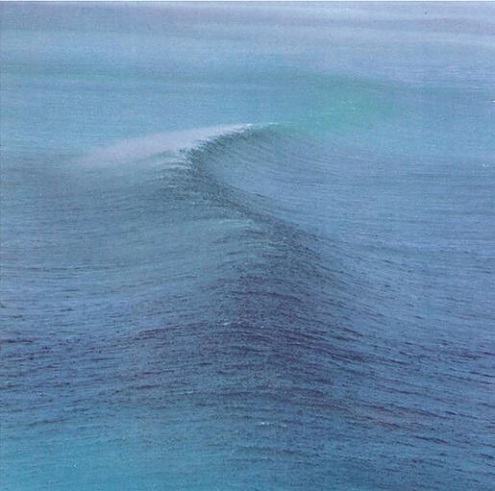 What Ride created was something truly amazing, although as Loz Colbert has suggested, Nowhere was difficult to make; not because of the usual strains of technical problems or lack of creativity but because they were so young at the time, indeed they were still growing up and their music was evolving with them. I would like to pick all the songs from Nowhere to showcase the band but since I only have a limited choice I’ve gone for one where they slow the tempo. Dreams Burn Down, with its dreamy melodic guitar lines that occasionally cascade into piercing white noise, is a song that many people espouse as a perfect example of the shoegaze genre – the majestic atmosphere, saturated harmonies, distinctive pounding drum-beat. The song seems to be about the girl he just can’t have, and he half laments that fact and half accepts it as a lesson. It is so delicate and beautiful. Vapour Trail is one hell of an album closer. 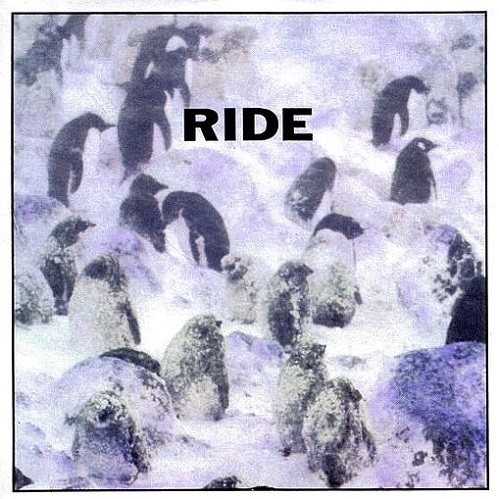 Lead vocal and song writing switches to Andy Bell for this phenomenal slice of indie pop that probably still remains Ride’s most well known release. Two 12 string Rickenbackers buzz and chime throughout the song before fading out to strings; a mournful cello and violin bring Nowhere to its natural vinyl end. Bell has said that he wrote it while they were on tour when he was sat in his hotel room one morning. He started playing the riff on his acoustic guitar, the lyrics flowed easily and a true gem of a song was born. I don’t think that its mood can ever be replicated, in fact I’m probably doing it a disservice trying to describe it. What I do think it is though is a song about not having enough time to spend with that love of your life, that time being precious even though it can be, frustratingly, quite fleeting. Taste is a song that sits quite comfortably with me if I had to choose favourites from Ride on one hand, especially live and on an indie disco dancefloor. It is the band at their poppiest best with furious drumming, driving bass and simple chiming Byrds-esque melodies. The only shame being that it is only a little over three minutes long. The song, as I understand it, is about infidelity where the protagonist has cheated and is not wanting to tell his girlfriend what he has done, albeit that he has destroyed what they had. It was originally found on the Fall EP alongside Dreams Burn Down; all of the songs from the EP were added to the end of the CD version of Nowhere that I had a copy of. Nowhere is an extraordinary album and still to this day moves me in similar ways as it did when I was a baggy-haired teenager, with its haunting songs and lovelorn lyrics, the at-times blistering guitars and some of the best rhythm sections of any album ever made! Just how good it is can be measured by the fact that it doesn’t sound old and that bands today are still trying to repeat what Ride did over twenty-five years ago. European Son is a song that has maybe passed under the radar of many a music lover. 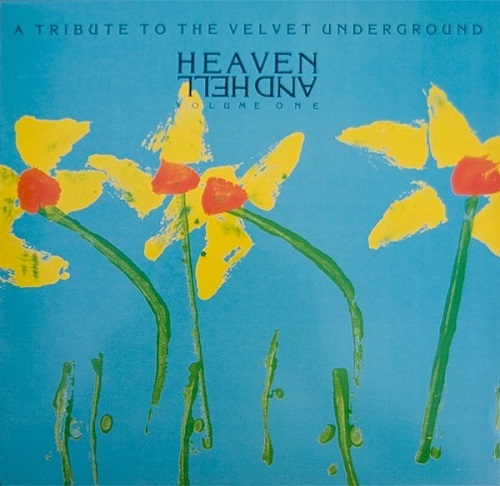 In 1990, Imaginary Records released a series of tribute albums called Heaven And Hell – A Tribute To The Velvet Underground. 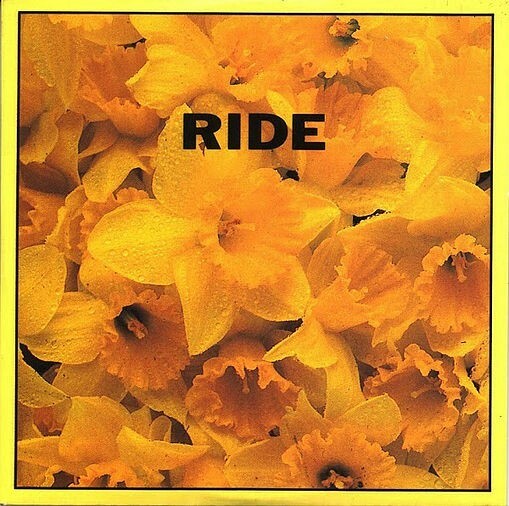 Volume One was the album that took my interest with covers from the likes of Buffalo Tom, Nirvana, Wedding Present, Chapterhouse, Telescopes and, of course, Ride. If you were going to pick a song for Ride to cover from the Velvet Underground’s classic debut Velvet Underground & Nico then their album finale, European Son, would be the first one that springs to mind. Even the original is fifty seconds of jangly guitar and vocals followed by over six and a half minutes of beautiful noise. What Ride did with their cover was to slow the song down a touch, cut it by more than half in length and split the lyrics into two main verses over the track instead of Lou Reed’s quick-fire style. It really worked for me, I like it more when a band shakes up an original, rather than just a straightforward cover. Highly recommend having a listen to the Heaven And Hell album if you have not heard it, especially Volume One. 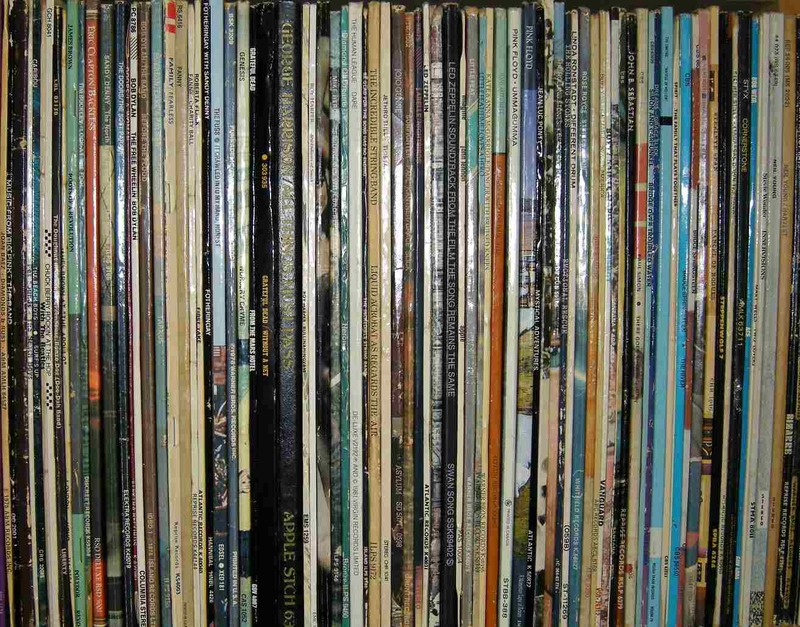 When I first started on my music buying obsession in the late 80s and early 90s, a huge chunk of the records that I bought seemed to be EPs. They were like mini-albums that were intended to be taken in like candy rather than full course meals. What was brilliant though was the quality of the releases, with nearly every song being top class and not your average hastily thrown together B-side. 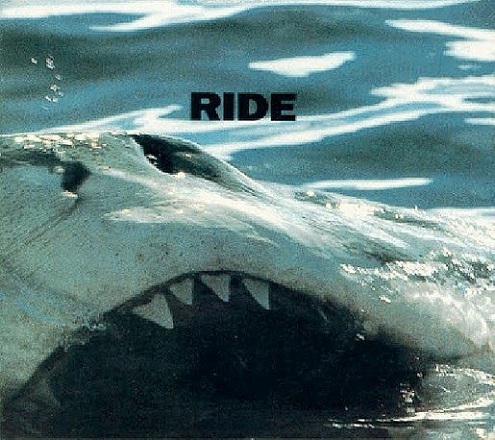 Ride were very savvy when it came to EPs with all of them being absolute beauties. The Today Forever EP took up the mantle from where Nowhere left off, and it is here that we find the next song on my list. Unfamiliar has a memorable intro with Steve Queralt’s thundering bass line and Loz Colbert’s explosive drumming cutting through the ambient sounds that ease you into the song. As soon as the deep layered guitars hit and the occasionally incomprehensible vocals drift across, it is quite easy to be taken away to some lost and distant space and time. This EP contains all of the key ingredients that showcased Ride at the height of their powers. It conveyed a haunting beauty with a sound indie/pop rock backbone. If Nowhere was dark and brooding, Going Blank Again was the upbeat ray of sunshine. It was as if the whole album had been sprayed with a layer of glossy indie pop perfection. The loud guitars were still there with more effects pedals to throw a well worn shoe at, but this wasn’t something raw and haunting, this was, for me anyway, something of musical beauty. It hit me just at the right time in my life; I was seventeen and in my second year of going to gigs. 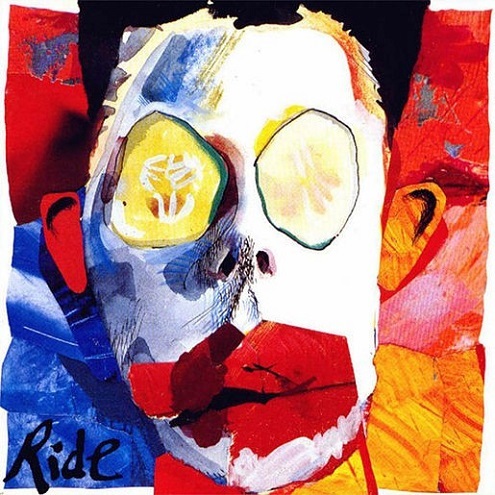 I saw Ride at Middlesbrough Town Hall on the day of the release of Going Blank Again so I only had their single as a pointer for what to expect. They were supported by the Verve, who I must admit didn’t get much of a listen as I was trying to get served in the crypt bar downstairs at the time, having turned up late. Ride played the majority of their new album and it blew everyone away. I’ve been to some loud gigs in my life but my ears were still ringing the following weekend! You can’t get away from the heavy influence of the Who and especially a mix of Won’t Get Fooled Again and Baba O’Riley on album opener and absolute classic, Leave Them All Behind. The opening Hammond organ swirls where the guitars used to, before Colbert and Queralt’s interlocking rhythm drives the song onwards with Gardener and Bell joining in with their shimmering guitars. This isn’t just another song that is born from the thump of an effects pedal, this is a sonic wave that builds and builds with beautiful harmonies and distortion, right up until the end of this eight minute epic. It is still a song that hits me with an overwhelming emotion of happiness, probably down to the fact that I grew up on bands like the Who and I’m a sucker for a bit of Hammond organ and a trebly bass. Rumour has it from the stories from Creation Records that Alan McGee went absolutely crazy when he first heard it and jumped about the office, demanding that it would be the first single from the album. Weirdly, I have gone for the album opener and album closer on this one, although when Going Blank Again was originally put together the band wanted it to be a double album with extra tracks added. There is much, much more to Going Blank Again than these two songs but I wanted to cover as much of their good stuff as possible. OX4 is the best song ever made featuring a postcode; their postcode as it happens. 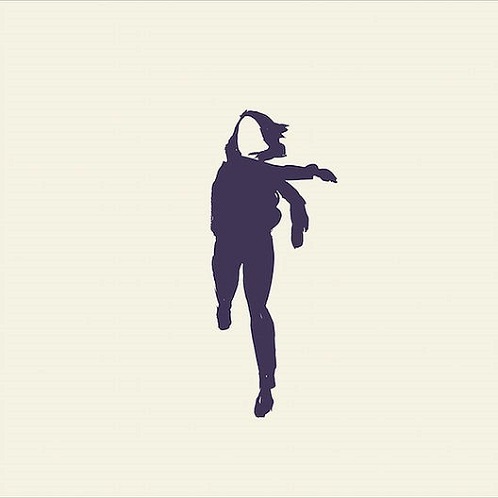 It is probably the finest interpretation of Ride’s ability to swirl loud guitars with quiet sentiments and create something that is undeniably a powerful slice of indie heaven. There are many people out there that will prefer the rough edges and stripped back noise of Nowhere but for me Going Blank Again was their masterpiece. 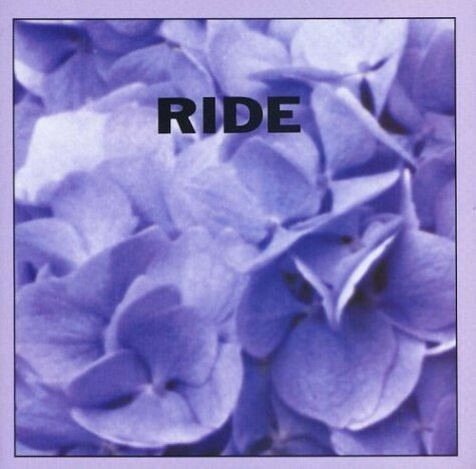 It is funny that the term for their genre was shoegaze (a name hated by Andy Bell); the name derived from media types saying that Ride spent the whole gig staring at their guitar pedals instead of interacting with the crowd. The music they made though sounded more like their heads were blissfully floating in the clouds instead of gazing at a pedal. It was such a shame for the success of this album to take a hit from the release of Nevermind by Nirvana; suddenly everyone wanted a piece of the grunge scene and the UK was forgotten about for a while, in the media anyway. I still have it down in my top 10 albums of all time and I can’t see it ever moving. What was starting to show from the second album was that the song writing credits were alternating between Gardener and Bell and the amount of time spent on tour was causing the usual strains on the group. They were tired and decided to take time off. It was just that they took too much time off. What came next was a bit of a disappointment to a lot of Ride’s fans. The band had hit a junction and as Steve Queralt has said in the past, they probably took the wrong turn. Carnival Of Light was an album that I really didn’t get at all at the time of release. It’s an album that I’ve revisited a few times without anything really stirring my musical senses. The first thing that jumps out to me on this third studio album release is that their guitar sound, that was so prominent on the other material, has gone. There are no twin sonic guitar effects, no frenetic Loz Colbert drumming and no driven bass lines. Instead you have a jangly relaxed indie pop sound with 60s influences from the Byrds, Bob Dylan and the Beach Boys. Seems to me that the music changed from being shoegazing indie pop to alternative 60s psychedelic soft rock. The album seemed to be a near 50/50 split between the writing of Gardener and Bell, with Gardener’s songs taking up the first half and Bell taking the second or thereabouts. Loz Colbert also managed to get in on the act too with the song Natural Grace which was a massive change in how the band went about things. World renowned producer John Leckie had the reigns and to be honest in parts you can hear influences from a host of bands that were playing around the time of its release. Leckie’s production on the album is really tight though and is quite a shining point. You seem to know something is wrong when the producer gets more of the credit for how the album sounds than the songs on it. With that in mind, although there are some easy listening songs on the album, there is nothing that would fall into a list of 10 songs for you to get to know a band by. I’m thinking along the same lines with their next album too. Tarantula was deleted from Creation Records catalogue only a week following its release. Not a great start for this album. The song writing mantle is firmly in Andy Bell’s hands now, with only two out of the twelve songs being written by Mark Gardener or Loz Colbert. Gone was the Sonic Youth, Spaceman 3 and My Bloody Valentine influences, to be replaced by the Jayhawks, Byrds and Gram Parsons. The result was a very American rock sounding album. Mark Gardener had split from the band before they went into the final mix of the album and that seemed like it was that from a band that at one point had the world at their feet. Bell subsequently formed Hurricane #1 and later joined Oasis as the band’s bassist. Gardener and Colbert were in the short-lived Animalhouse. More prominently, Colbert played with the Jesus and Mary Chain and Supergrass, while Gardener performed as a solo artist and released an album, These Beautiful Ghosts, in 2005, then spent the next decade collaborating with a variety of artists. Although they settled their differences rather quickly after disbanding, they never really thought that they would ever reunite at any point; even following various shared acoustic sessions in 2003. That was until successful shows from the Stone Roses and My Bloody Valentine inspired them to make a comeback. On 19th November 2014, they finally announced that they had reunited and planned to tour old material around Europe and America. After successful festival appearances in 2015, their focus changed towards writing new songs and before long they were on the verge of releasing music as Ride for the first time in nearly twenty-one years. Weather Diaries is a fine example of a band that are not necessarily trying to change the world anymore, but rather saying “Hello, remember us? We’re still good you know!!!”. There is a grace and a calculation to these songs that gives away the middle aged blokes behind their instruments. The song that I have gone for as the final pick for my list is perhaps one that doesn’t immediately evoke Ride as they are best remembered. Cali is a song drenched in memories of days spent on sunny beaches with the girl/boy of your dreams. Add to that the west coast jangly riff and you can hear the confidence oozing out from them. Some songs are just made for summer afternoons and this breezy masterpiece is definitely one of them. Weather Diaries is an ambitious effort from a group that could have easily coasted on the coat tails of Vapour Trail forever, having once been considered shoegaze’s poster boys for their heartthrob looks and chart-friendly tunes. This album is a promising comeback that offers a little bit of redemption for an unfortunate wrong turn in the road after Going Blank Again which ramps up the anticipation for what is to come in the future. I am so glad that they are back, touring again and making new material. I sat watching them play at Glastonbury recently with a glowing smile on my face thinking to myself, “Why are they not on the main stage?”. I hope that they are basking in the glory of all of the positive feedback from social media about their album and live performances at the moment. They deserve it for their couple of years of touring followed by hard work in the studio. Fingers crossed there are still some tickets left for their Leeds Beckett Uni gig in November! It seems to be an unwritten law in rock that when the going gets good, the drummer gets sacked. Luckily for Gareth, he was the bass player. Unluckily though, the drummer was a drum machine. You can’t sack a drum machine! This is how his only stint at musical fame ended in college in the mid 90s. Since that day he has turned his attention to seeing as many live bands as he can and sharing his experiences with other people, if they will listen. He is on Twitter @theedgeofthesea and his blog can be found here. A lovely Toppermost Gareth. I rode with RIDE until just after GBA when a mix of taste, poverty and other bands came in to play. One of my all-time favourite songs by anyone is Sennen, but there’s so many to choose from in those early releases! I’ll have to give Weather Diaries a listen to. Nice piece, though for me Sennen has to be in there somewhere. Can’t argue at all with how Carnival of Light and Tarantula disappoint. Weather Diaries is better than any of us dared to hope for. My only disagreement is that they didn’t need to be on the Pyramid at Glastonbury. Peel was perfect for them, a tent helps hold that mighty sound in and it was glorious being there. Thank you Skewifyy. Sennen is a funny one for me, I’m a massive fan of The Wedding Present and it sounds so much like they have just copied their song “Bewitched” so that is all I hear when Sennen is played.